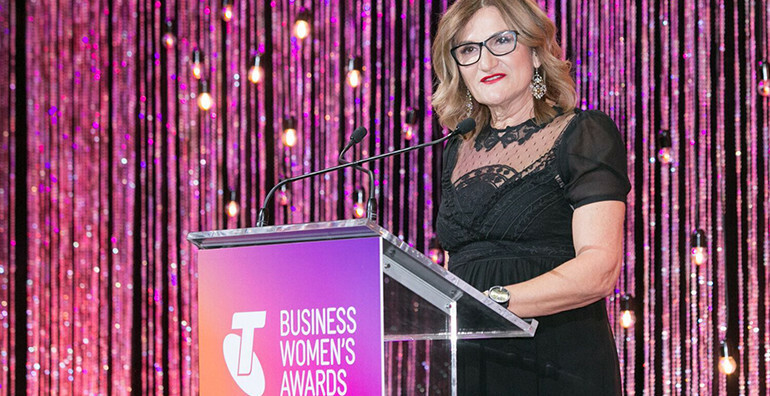 Prominent not-for-profit CEO Violet Roumeliotis has been named 2017 Telstra Australian Business Woman of the Year, and has encouraged other NFPs to work with corporate Australia to achieve social and economic benefits. Violet Roumeliotis speaking at the Telstra Business Women's Awards. Roumeliotis is the CEO of Settlement Services International (SSI), which provides a range of services in areas such as refugee settlement, housing, disability support, employment services and youth support. 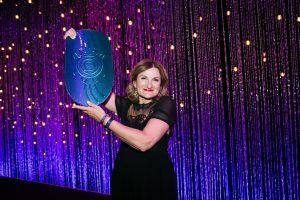 On Tuesday night she was named the Australian Business Woman of the Year, after overseeing innovative diversification from SSI, which led to more than 1,100 per cent revenue growth to $113 million over five years. 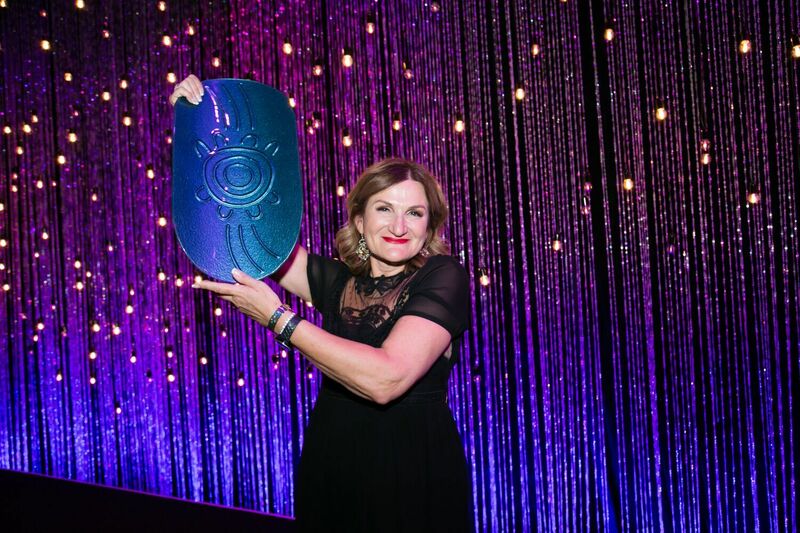 She was chosen ahead of 45 finalists – selected out of 4,000 entrants – and is the second NFP leader in the last five years to win the award after UnitingCare Queensland CEO Anne Cross was named winner in 2014. “She has demonstrated resilience and ingenuity in finding new revenue streams to keep the mission alive and make an impact, and has pioneered new initiatives including the Ignite Small Business Start-ups initiative which facilitates entrepreneurship among refugees and asylum seekers,” Joe Pollard, Telstra Business Women’s Awards ambassador said. Roumeliotis told Pro Bono News that corporate Australia should partner with entrepreneurial peers in the NFP sector to address commercial and social challenges. “There are workforce gaps where employers can’t get staff, and we have so many people in the NFP sector who can’t get work,” Roumeliotis said. She said her latest accolade offered a “wonderful opportunity” for NFPs to see past outdated stereotypes and develop a new perspective on other sectors. “When I was a younger community worker, it was punishable by death if you ever said anything nice about someone who worked in a public service or you even thought about wanting to work with a big corporation,” she said. “Times have changed. And what we see now is an opportunity for innovation and relationships that can create solutions and bring resources that we couldn’t get anywhere else. She also echoed her earlier advice that NFPs should operate more like a social business, which she believed was one of the key drivers of SSI’s success. “This sort of thing has been happening for a while, but more and more we’ve refined it as a sector, in response to funding arrangements and policy shifts. We’ve realised that we do need to be competitive and efficient,” she said. “But we’ve seen this great benefit to come from that, where you have been able to have revenue and surpluses that you can put into areas that the government cannot fund and which the market cannot fill. 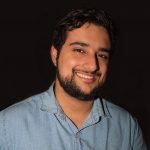 Roumeliotis said SSI aimed to make the most of the publicity afforded by the win, and would look to amplify the voices of the marginalised communities they work with. “It’s going to be a great opportunity to be strategic and amplify the voices of organisations like SSI that operate like a social business, and also the voices of vulnerable Australians,” she said.